Cases for diabetes supplies and organizers help keep track of what’s needed and systemize a routine task. 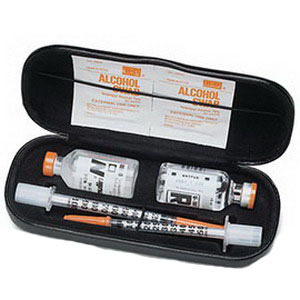 Pouches and bags for carrying diabetes paraphernalia, and cooling pouches for insulin keep the medication effective. Sharps containers are available for proper disposal of post-application needles and syringes.